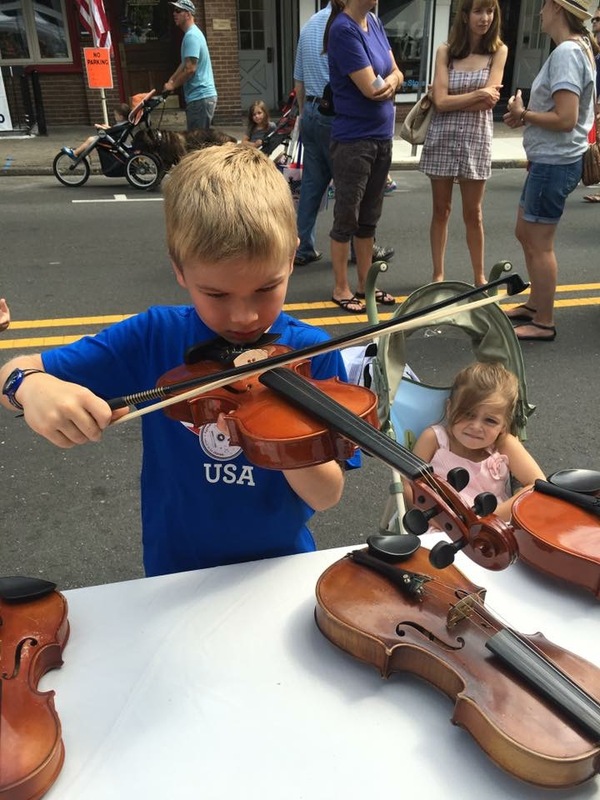 The Bucks County Symphony Orchestra offers a variety of outreach programs to children and youth in our community. The BCSO presents a Family Concert each December, with music selected especially for families with school-age children. This concert features student musicians from our local schools, including elementary and middle school string players, band members, and choruses. A Youth Concerto Competition is sponsored each spring for aspiring young artists. The winner of this competition receives the Jeanne Marvin Phillips Prize and an invitation to perform with the BCSO in the Family Concert. The Helen Buckman Award is presented each year to an outstanding orchestra musician in each of the three high schools in the Central Bucks School District. Our guest artists present an outreach visit annually to one or more of our local schools. All students are admitted free of charge to the Family Concert and all three subscription concerts.